M/s. Interasia Lines Singapore Pvt Ltd., a leading container line joined the consortium partners of China India team (CI3 ) service. 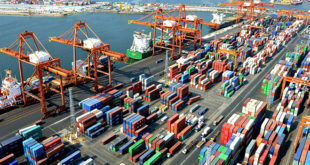 This weekly service to China connects Chennai Port to Port Kelang , Singapore, Shangai, Ningbo, Hongkong and Shekou ports leading to considerable saving in time and money to the exporter. 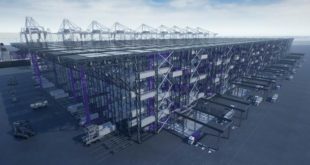 The CI3 service aims to place a vessel on weekly schedule through their consortium partners of Wan Hai, Interasia, OOCL, COSCO and Seacon. 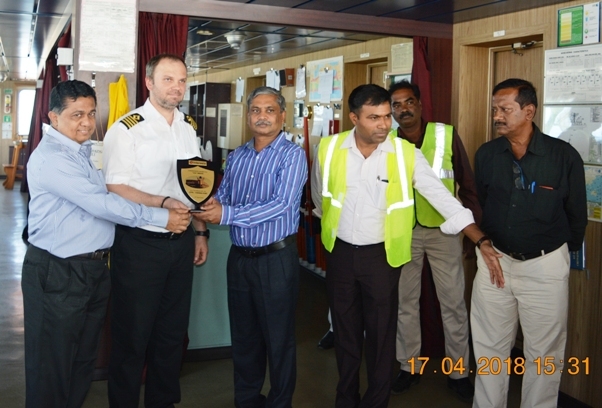 To commemorate the occasion, a plaque exchange ceremony was held on board the vessel. Shri. P. Raveendran, IRTS, Chairman, Chennai Port Trust, Shri. Cyril C. George, Dy.Chairman, Chennai Port, Ms. Tan Bee Teng, Acting General Manager, CITPL, Shri. Allen Lin, representative from Interasia, graced the occasion. Chairman, Chennai Port, exchanged the plaque with the captain of the vessel and formally welcomed the vessel to Chennai Port. 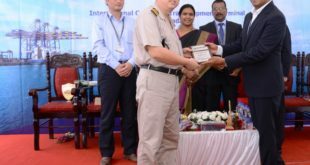 Chairman, Chennai Port, appreciated the notable initiative of Interasia and CI3 service partners, for connecting them to the global ports and the continuous efforts of the container terminal CITPL in providing best services to the exporters and importers of Chennai. Further added that this maiden call will be the beginning for a long and mutually beneficial business association and that the Chennai Port will always be committed to support the initiatives to provide the best service to the Chennai Exim community. Chairman also urged all the stakeholders to join together and take advantage of the service and make it as a success. 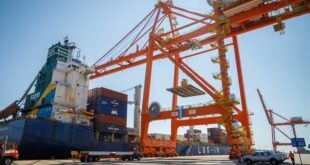 This new addition of service is ample proof of the potential of Chennai as a growing trade centre and Chennai Port as the best preferred port on the East Coast.